The view of the smoke cloud over London billowing up from the fire at a fuel depot in Hemel Hempstead, Hertfordshire. 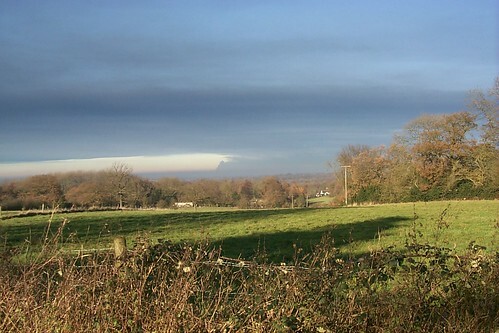 This photo was taken from the top of the North Downs near Bletchingley, approximately 50 miles away. An amazing satellite photo reveals just how big this fire is (currently still out of control). The initial explosions, at 6am, were heard and felt more than 100 miles away. Previous Previous post: Paulie’s Staying Put – Yes!